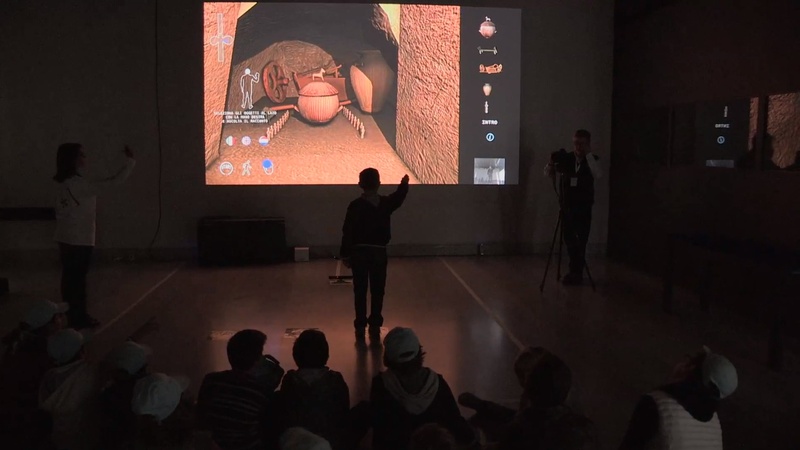 Etruscanning 3D, a European project in the Culture 2007 framework that focuses on using innovative 3D and multimedia technologies to support exhibitions on the Etruscan culture, has recently developed a virtual reality tour of the famous Etruscan tomb called the Regolini-Galassi. The Vatican is going futuristic, with the project known as Etruscanning 3D. Visitors can see the tomb exactly the way it looked more than 2,600 years ago. Motion sensors surround visitors while a three-meter-wide, high-resolution screen projects images. A menu allows people to examine artifacts like sarcophagi or black ceramic inkpots more closely. Another benefit of the method is its ability to deliver an accurate picture of the past. You see, many artifacts have not aged well and details have been lost over time. However through photogrammetry and computer imaging, technicians can digitally restore the objects. The technology may be used more in the future, allowing people to visit archaeological and historical sites while preserving them. You can get a glimpse of what it looks like in the [3:20 minute] video Etruscanning3D: the Regolini Galassi tomb in 3D from Eva Pietroni on Vimeo.